With Sam’s help, I’d improve my grades and stay on the team. What neither of us expected is that after studying, there was more I could teach him. After Jayden’s father died, he felt lost and alone. Nothing made sense to him anymore except for the ice and skating. It was there he could lose himself. With playoffs approaching, everything he had worked so hard to achieve was in jeopardy. With stunning blue eyes shining behind glasses, timid and unsure, Sam came from an opposite world from him. Sam’s job was to help Jayden improve himself. Jayden’s job became to show Sam who he really was. As much as neither of them ever wanted to admit it, they both needed someone. Breakaway is a gay love story with characters who come alive and stay with you long after the story has ended. This story may take place on the ice, but its details are steamy and hot. 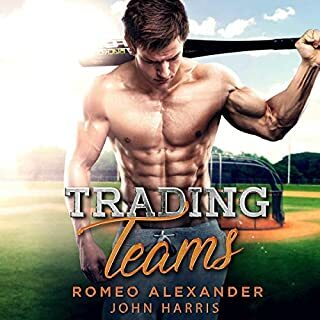 I really liked this Gay Sports Romance and I liked that the main character, Jayden was already ‘out’; it made for a refreshing change to sports romances I’ve been reading. I really liked Romeo’s ‘twist’ that the nerd was the one not ‘out’. I loved both main characters but found them best when they were together! I loved that Jayden would jump to Sam’s defense even before they develop feelings for each other. The story is short and sweet and leans towards insta-love with emotions becoming entangled quite quickly. Jayden’s a totally loveable jock who thankfully is nothing like the negative stereotype and he and his supportive teammates provide for a great story. 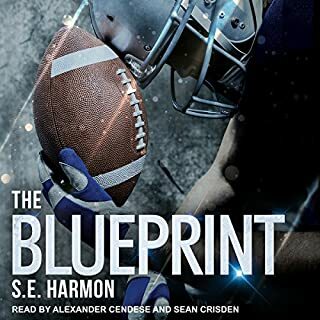 A great first-time, insta-love, sports romance! Now the narration for this was interesting. The narrator had a new voice for every character and they differed so much! I’m not sure the narrator meant for it, but their voices made the whole story so much more entertaining, even when it probably wasn’t meant to be. The Hockey team was made us of so many different accents, I felt like there was a Russian, Jamaican, American, and even possibly a little English and Kiwi in there. It makes for an entertaining listen! I must say the Librarian did kind of sound like a parrot which was a shock the first time I heard it. 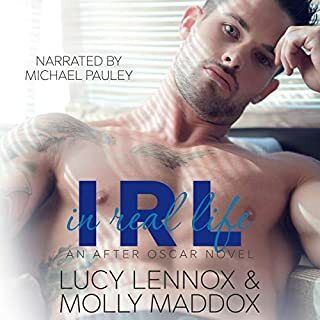 I’m an avid audiobook listener so I’ve heard all sorts of voices and obviously have my favorite narrators, so with this narrator being so different it did throw me off to start but once you get in the flow of the story, the bizarre accents fall away (or make you laugh) and the core of the story comes through. I loved the story and the narration made it unique. Sparks fly and the story which developes is nice and funny and light, and it's a couple of hours of great entertainment. Sam is stronger and more resilient that we would expect, just as Jayden is just a giant softie! Romeo Alexander is a new to me author and Kaeomakana Tiwanak is a new to me narrator, but I really appreciated both their talents. The narration was not too bad. It definitely improved as the story went along. Some of the accents were weird but luckily they were few and far between. Jayden is a star hockey player who needs a little help in one of his classes. Sam is the D&D playing, comic loving tutor tasked with helping Jayden. The relationship that forms between these two is very believable. I enjoyed the story. The plot was well developed and executed given its length. I was looking for some books to listen to while I traveled and was in the mood for some romance so I was trying to look at reviews of books and I seen one of this one saying there are repeating lines I LOVE mess ups and to be honest I was looking for some malicious fun but too bad there weren't ANY mess ups except for maybe two times in the end LET DOWN the story itself seems very rushed and like there should have been more to it why did the jock become so obsessed with the nerd? The story is hockey player meets geek tutor. They click. They deal with homophobia in an overall supportive universe. The editing is not great. The narrator repeats sentences several times in the audiobook.